Welcome to our site! We are glad to give you a recommendation of this 2pcs Solar Energy Car Truck Cup Holder Bottom Pad LED Light Cover Mouldings Trim. 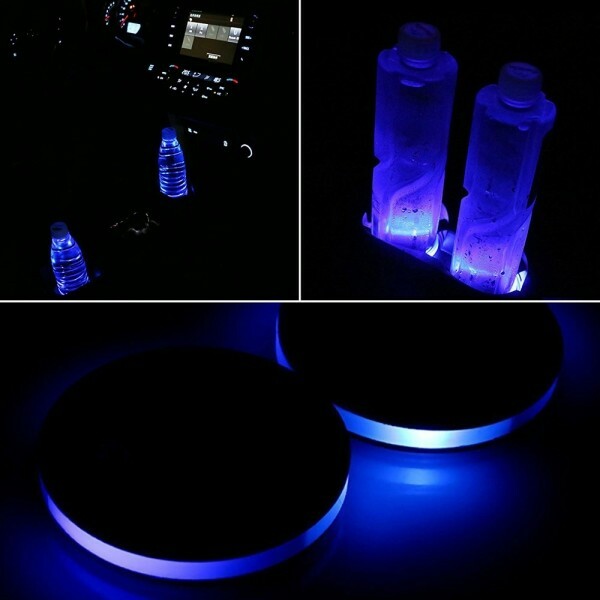 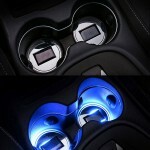 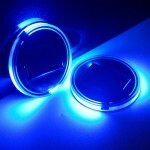 This LED car cup holder not only can be a cup holder, but also it can be used as an atmosphere lamp. It is made of wear-resistant scratch acrylic panels and high temperature resistant bright mirror, and it has a smart chip with overcharge protection to safeguard the LED car cup mat from potential damage. 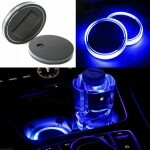 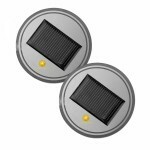 This cup holder is charged by solar energy, which is environmentally friendly and energy saving. 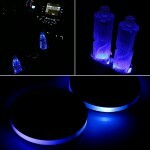 And it also can by charged by USB, which is very convenient. 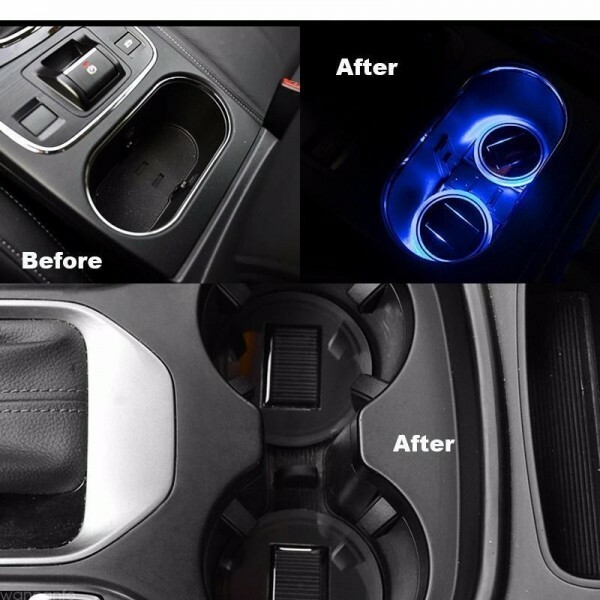 In addition, it?s easy to install and remove. 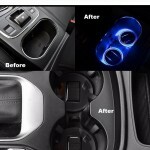 So don?t hesitate, buy it to decorate your car.